Having said all that, as a matter of fact, they are not as intimidating as they sound, this piece of writing will decode all of them for your easy understanding. So, without further ado, let us get into them. Often used and associated with single tenant, multi-tenant office buildings, they are also applicable for industrial and retail properties, most importantly for those with seasonal income fluctuations. With a better percentage lease, it allows their rent to rise and fall with income. Fixed rents are collected by the landlords and the expenditures are paid out of them. Seeing that the costs add to, over time, the gross and full-service leases will contain escalation clauses that amplify over time to counterbalance tax increases and high costs involved in insurance, maintenance, and other miscellaneous expenses. As a leaseholder or tenant, one should clearly understand the escalation clause to project rent expense into the future. Classified under the category of turnkey investment, in this lease structure the occupant is responsible for paying all operating expenses related to a real estate property. In order to have a better understanding of triple net (NNN) lease, a clear understanding of the spectrum of commercial real estate leases is required. In general, all commercial real estate leases fall somewhere along a range either with absolute net leases or absolute gross leases, anything which falls between the two is known as hybrid lease. Having said that, there is always a misconception with this particular lease type and i.e., many of them think that the NNN lease offers a lot of advantages, while that being true, there is no denial about the risks that this lease has to put forth. Hence even the risks involved should be taken into consideration. Uncomplicated labels like triple net, full service, or modified gross, usually used by brokers and landlords, will habitually clash with the exact terms of the lease. The modified net lease has found the middle ground between the gross lease and the triple net. The landlord and occupant usually set up a split of the janitorial expenses along with the maintenance which exists in a different form, while the occupant agrees to pay taxes and insurance. In this type of lease, utilities would also be negotiated. Often popular with industrial, retail or multi-tenant office properties, this lease type is highly flexible which makes things easier between the tenant and the landlord. 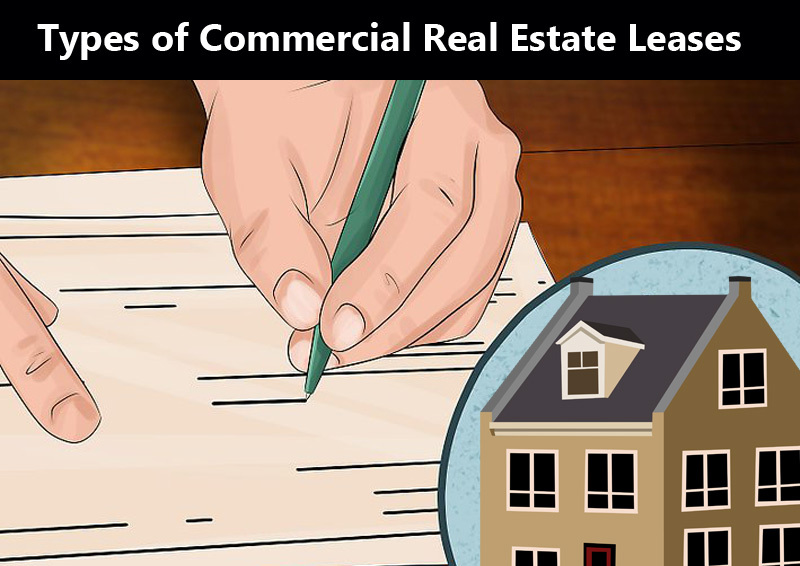 Now that you are aware of the types of commercial real estate leases, it is highly imperative that you understand about the legalese completely before you sign a commercial lease. Hope you found this article helpful, stay tuned to this site to make wise real estate decisions. If you wanted to invest in real estate but perplexed on making decisions, take the guidance of DC Fawcett, a real estate connoisseur who has mastered the art of wholesaling, rehabbing, and cash flow investing in virtual markets. Assisting people throughout the course of their real estate journey, he will help you become skilled at investing concepts and guide you how to grow through his proprietary Virtual Real Estate Investing systems.